Premium imported Amazon product in Pakistan Mistine Pore Sealer Refining Magic Cream online in Pakistan is great for reducing pores appearance and also work for large pores. It is the oil control cream that is best to apply before makeup. You can use it as makeup primer and it works amazing to make the skin smooth looking, reducing dark spots, red acne spots and pores. For Mistine Pore Sealer Refining Magic Cream online shopping in Pakistan find it here in reasonable price. It will be provided to you at your home with cash on delivery anywhere in Pakistan. 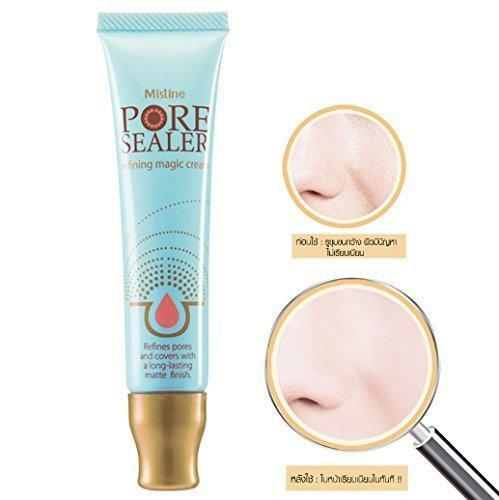 Enjoy Mistine Pore Sealer Refining Magic Cream online shopping in Pakistan and explore more imported Amazon products in Pakistan in affordable prices.